This is a historical list, intended to deal with the time period when women working in scientific fields were rare. For this reason, this list deals only with the 20th century. Some women who primarily worked in the 19th or 21st centuries may appear in a different list. Dorothea Bate (1878–1951), British archaeologist and pioneer of archaeozoology. Birgitta Wallace (born 1944), Swedish–Canadian archaeologist whose research focuses on Norse migration to North America. Vera Danchakoff (1879 – about 1950) Russian anatomist, cell biologist and embryologist, "mother of stem cells"
Anita Roberts (1942–2006), American molecular biologist, "mother of TGF-Beta"
Maria Abbracchio (1956-) Italian pharmacologist who works with purinergic receptors and identified GPR17. On Reuter's most cited list since 2006. Lidija Liepiņa (1891–1985), Latvian chemist, one of the first Soviet doctorates in chemistry. 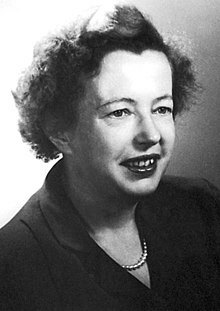 Vera Faddeeva (Russian: Вера Николаевна Фаддеева) (1906-1983), Russian mathematician. One of the first to publish works on linear algebra. Shafi Goldwasser, American-Israel computer scientist. 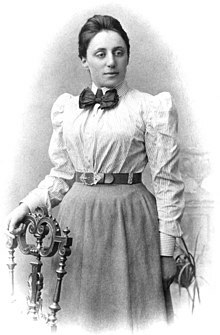 Frances Hardcastle (1866–1941), mathematician, founding member of the American Mathematical Society. Kathleen I. Pritchard (1956-), Canadian oncologist, breast cancer researcher and noted as one of Reuter's most cited scientists. Shirley Jackson (1946–), American nuclear physicist, president of Rensselaer Polytechnic Institute, first African-American woman to earn a doctorate from M.I.T. Marianne Simmel (1923–2010), American psychologist, made important contributions in research on social perception and phantom limb. Davida Teller (1938–2011), American psychologist, known for work on development of the visual system in infants. Donna Michelle Bartolome (1910-), Filipino graphics artist. ^ "Vera Rubin". Archived from the original on 2013-04-24. CWP. ^ "Mary L. Cartwright". Archived from the original on 2016-10-17. CWP. ^ Kenschaft, Patricia C. (2005). Change Is Possible: Stories of Women And Minorities in Mathematics. American Mathematical Society. p. 47. ISBN 978-0-8218-3748-1. Retrieved 19 October 2012. ^ "Jenny Rosenthal Bramley". IEEE Global History Network. IEEE. 2012. Retrieved 24 October 2013. ^ "Jennry Rosenthal Bramley". CWP. ^ "Nina Byers". Archived from the original on 2014-10-16. CWP. ^ "Nancy M. Dowdy". CWP. ^ "Helen T. Edwards". Archived from the original on 2013-08-06. CWP. ^ "Rosslyn Shanks". iwonderweather. Retrieved 2016-08-18. ^ "Phyllis S. Freier". CWP. ^ "Mary K. Gaillard". CWP. ^ "Gertrude Scharff Goldhaber". CWP. ^ "Shirley Jackson (physicist)". CWP. ^ "Bertha Swirls Jeffreys". CWP. ^ "Renata Kallosh". Archived from the original on 2004-09-25. CWP. ^ "Noemie Benczer Koller". CWP. ^ "Juliet Lee-Franzini". Archived from the original on 2014-10-16. CWP. ^ "Inge Lehmann". Archived from the original on 2015-03-19. CWP. ^ "Kathleen Lonsdale". Archived from the original on 2016-10-05. CWP. 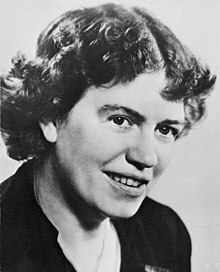 ^ "Margaret Eliza Maltby". CWP. ^ "Helen Megaw". Archived from the original on 2016-10-06. CWP. ^ Desanka Trbuhovic-Gjuric (1988). Im Schatten Albert Einsteins: Das tragische Leben der Mileva Einstein-Maric. Verlag Paul Haupt Bern und Stuttgart. ISBN 3258039739. ^ "Ida Tacke Noddack". Archived from the original on 2013-08-06. CWP. ^ "P. Ya. Polubarinova-Kochina". CWP. ^ "Helen Quinn". Archived from the original on 2015-02-27. CWP. ^ "Johanna Levelt Sengers". CWP. ^ "История Кристаллографии Лаборатория Кристаллооптики Института Кристаллографии Ран" [History of the Crystallography Laboratory Of Crystal-optics of the Institute of Crystallography of the Russian Academy of Sciences]. Кристаллография (Crystallography) (in Russian). Moscow, Russia: Издательство МАИК. 55 (6): 1146–1152. 2010. ISSN 0023-4761. Archived from the original on 30 May 2017. Retrieved 30 May 2017. ^ "Sau Lan Wu". CWP. ^ Kemp, Hendrika Vande (2001). "Helen Flanders Dunbar (1902-1959)". The Feminist Psychologist. 28 (1). Retrieved 24 October 2013. ^ Duke, Carla; Fried, Stephen; Pliley, Wilma; Walker, Daley (August 1989). "Contributions to the history of psychology LIX: Rosalie Rayner Watson: The mother of a behaviorist's sons". Psychological Reports. 65 (1): 163–169. doi:10.2466/pr0.1989.65.1.163. ^ "Marianne L. Simmel (1923-2010)". American Psychologist. 67 (2): 162. February–March 2012. doi:10.1037/a0026289. ^ Brown, A. M.; Lindsey, D. T. (2013). "Infant color vision and color preferences: A tribute to Davida Teller". Visual Neuroscience. 30 (5–6): 1–8. doi:10.1017/S0952523813000114. PMID 23879986. ^ "Davida Y. "Vida" Teller, Ph.D". The Seattle Times. Seattle, WA. October 23, 2011. Retrieved November 20, 2013. Byers, Nina. 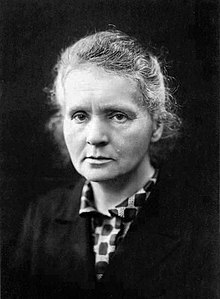 "Contributions of 20th Century Women to Physics". UCLA. Retrieved 24 October 2013. Herzenberg, Caroline L. (1986). Women scientists from antiquity to the present : an index : an international reference listing and biographical directory of some notable women scientists from ancient to modern times. West Cornwall, CT: Locust Hill Press. ISBN 0-933951-01-9. Howard, Sethanne (2006). The hidden giants. Lulu.com. ISBN 978-1430300762. Howes, Ruth H.; Herzenberg, Caroline L. (1999). Their day in the sun : women of the Manhattan Project. Philadelphia: Temple Univ. Press. ISBN 1-56639-719-7. Rayner-Canham, Marelene; Rayner-Canham, Geoffrey (2001). 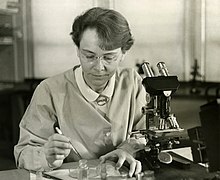 Women in chemistry : their changing roles from alchemical times to the mid-twentieth century. Philadelphia: Chemical Heritage Foundation. ISBN 978-0941901277. Stevens, Gwendolyn; Gardner, Sheldon (1982). The women of psychology. Cambridge, Mass. : Schenkman. ISBN 9780870734434. This page was last edited on 19 April 2019, at 07:04 (UTC).